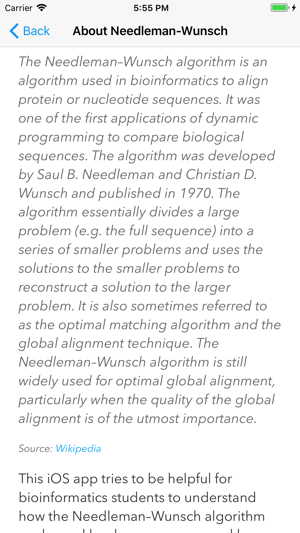 The Needleman–Wunsch algorithm is an algorithm used in bioinformatics to align protein or nucleotide sequences. 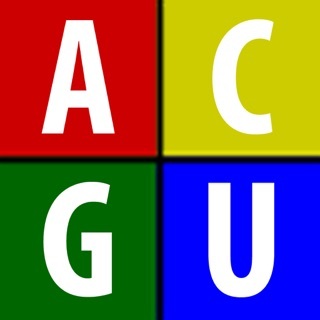 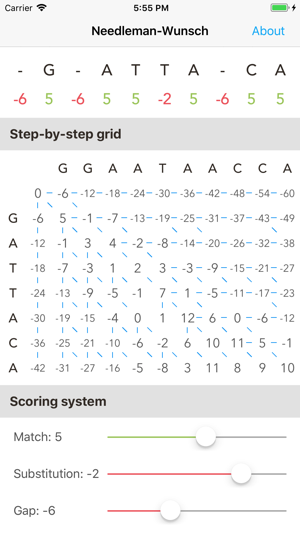 It was one of the first applications of dynamic programming to compare biological sequences. 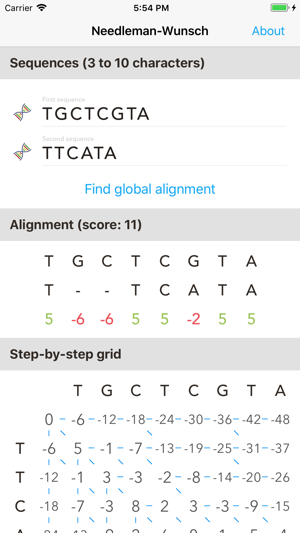 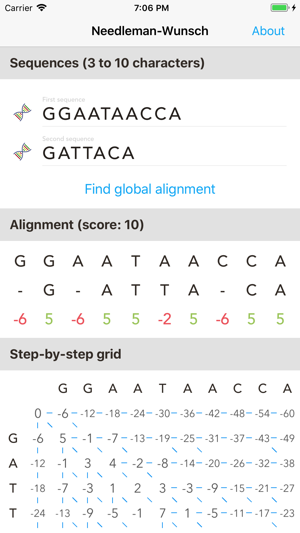 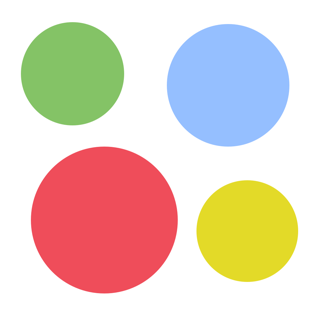 The Needleman app tries to be helpful for bioinformatics students to understand how the Needleman–Wunsch algorithm works.